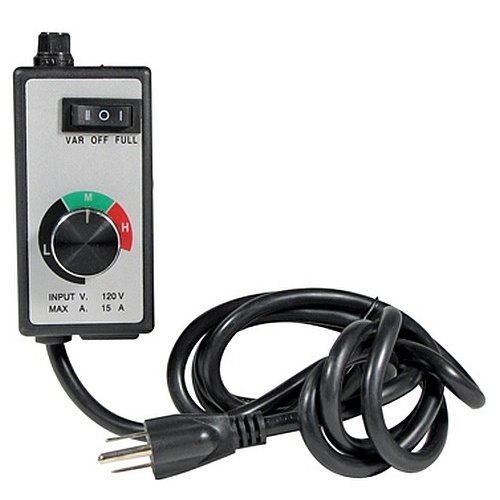 This dialed, electronic motor speed controller has full power and variable modes and is rated for 15A max at 120VAC. Comes with a 6-foot, 16-AWG power cord, grounded output outlet, belt clip and a 15A fuse. 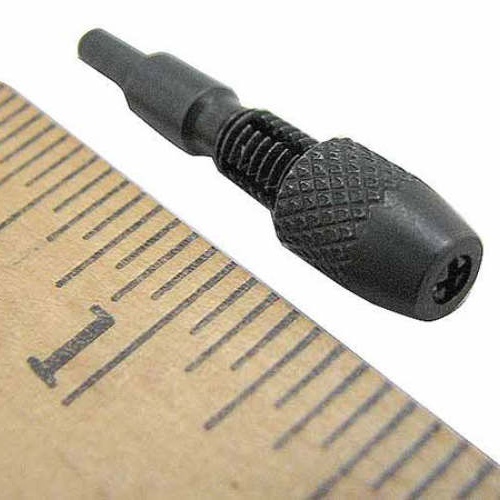 Measures 4-5/8" x 2-3/8" x 1-5/8". Great for hobby tools, but not for use with brushless motors. A really small guy who lives....Whoops! Wrong Chuck. This one is a drill or rotary tool chuck with a 1/8" shank and fits bit sizes #60-#80 to facilitate handling tools with truly small shanks. Very handy in the modeling and electronics worlds. This set of (10) diamond hole saws could (extremely theoretically) cut holes in diamonds, but mostly they're for glass, ceramic, marble, slate and tiles. You get 40-grit, diamond-core hole saws at 1/8", 5/32", 13/64", 1/4", 9/32", 5/16", 11/32", 3/8", 7/16" and 1/2" OD, all 2-1/2" long with 1/8" shanks. 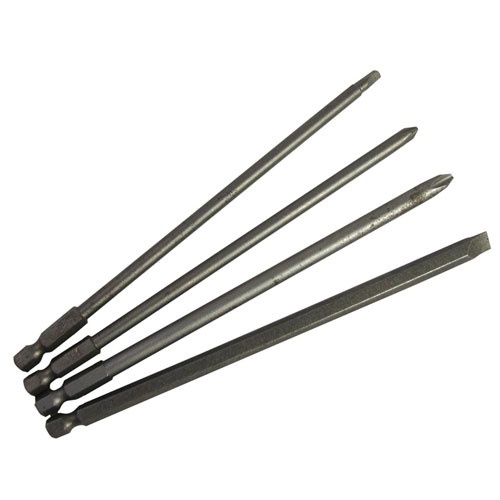 You get a 4-pack of standard 1/4" hex-shaped driver bits that are 6" long for those hard-to-reach screw-heads. Includes a 1/4" slotted driver plus #1 & #2 Phillips and a #2 Robertson in case you're Canadian. That’s what we say about this drill pump! 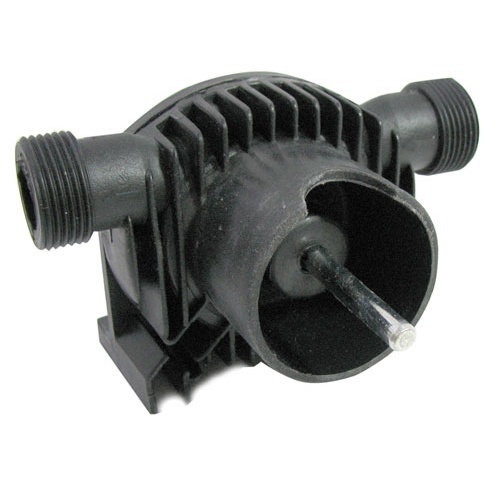 Screw hoses to the threaded inlet and outlet valves (3/4”-14 standard garden hose size) and attach the 1/4” dia. shaft to your drill. Turn the shaft and it pumps for you. Great for aquariums, flood plains, waterbeds, maybe even a mechanical straw! Pump is 2-7/8” dia., 4-1/2” long with the in/out valves. How many chucks would a key chuck key if a key chuck could key chucks. A key chuck would key...oh forget it. 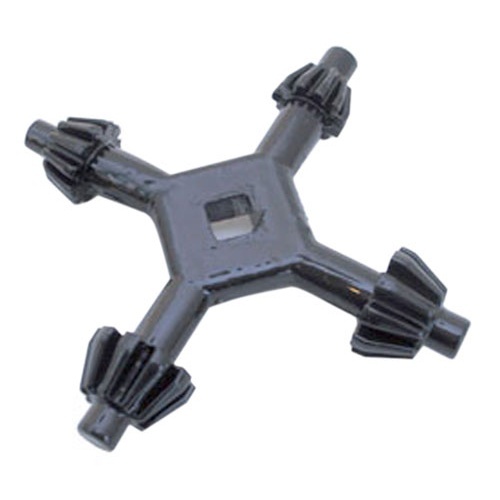 Buy this (4) headed key chuck and know you will have the right size for most popular chucks on tools from Delta, Black & Decker, Bosch and other manufacturers of portable and smaller stationary tools. The last set of hole saws you'll ever need. 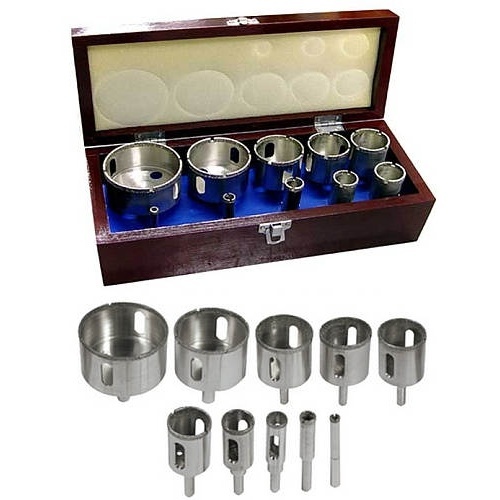 This 10-piece set of diamond-encrusted core drill bits comes in a wooden presentation case (Hey, they've got diamonds on them!) 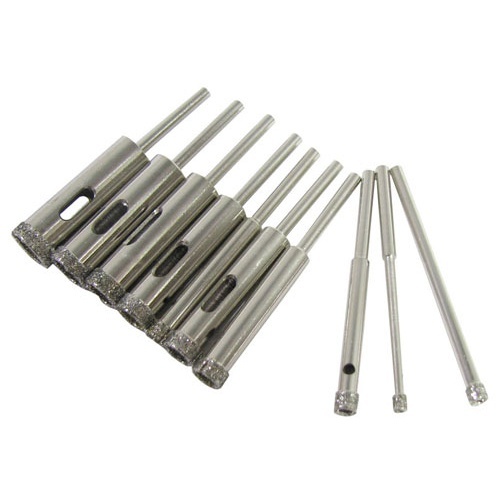 and includes 1/4", 3/8", 1/2", 3/4", 1", 1-1/4", 1-3/8", 1-1/2", 2", and 2-3/8" outer dia. Shanks are 1/4" except the (2) largest, which are 3/8", and all the bits are slotted to blow out dust. Each bit is 1-1/4" deep. Designed for cutting glass, ceramics, porcelain, ceramic and porcelain tile, limestone, slate, marble, granite, stone, fiberglass and other tough stuff. Don't forget to add water (not included) for lubrication. Don't try to drill glass, tile, porcelain, marble, granite or ceramics without it, pilgrim. 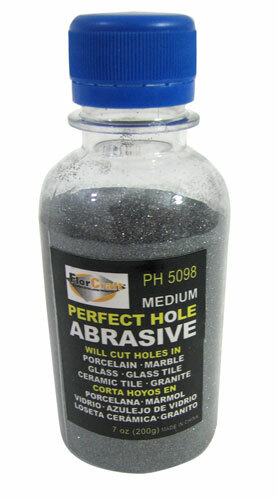 Our each is a 7 oz/200g jar of medium grit abrasive powder for use with hole saws or hammer drills. And don't forget to use water with it.